User generated content (UGC) can provide your brand with a nearly endless supply of content for use on your website and social media accounts. The trick is to incorporate the UGC in a way that maintains brand integrity, engages your target audience, and gently markets your brand without feeling staged or overly random. We have some reasons WHY this type of content can be effective and ideas on HOW to generate it but, ultimately, UGC should be utilized in ways that work for your unique brand. 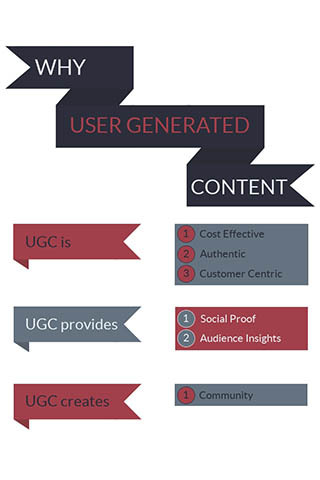 UGC allows your customers to create assets for you while they tap into their own following. Many studies have found that today’s consumers find content from their peers more authentic than branded content so, sometimes, less than perfect user generated images and video will speak more clearly to your target audience than anything your team could create. UGC also lets your brand speak through the voices of your customers so you are marketing with them instead of at them. The authenticity we mentioned is what creates the social proof of UGC. When consumers see actual customers positively interacting with your brand, they can better visualize how you will be able to help them, too. You can also gain valuable insights when you analyze the content shared by your audience. Their posts can help you understand themes of satisfaction as well as areas for growth. Their feedback can, noticeably, inform your next campaign and organically build your online community as people see their voices have been heard and that they are part of your brand revolution. Unique brand hashtags encourage your audience to be part of the conversation and also help you track user content. Hashtags for specific events or promotions cannot only help build excitement around your brand but also increase your reach. Early access to or sneak peeks of new products or campaigns to your most loyal follows are an excellent way to build buzz as you lead into a brand announcement. Incentivize your followers by offering modest rewards for their contributions. Branded t-shirts, the opportunity to be featured in a video clip, or a brand link back to the user’s website or social profile cost you little yet can get your followers excited about creating content for you. And who doesn’t love a contest thrown into the mix? 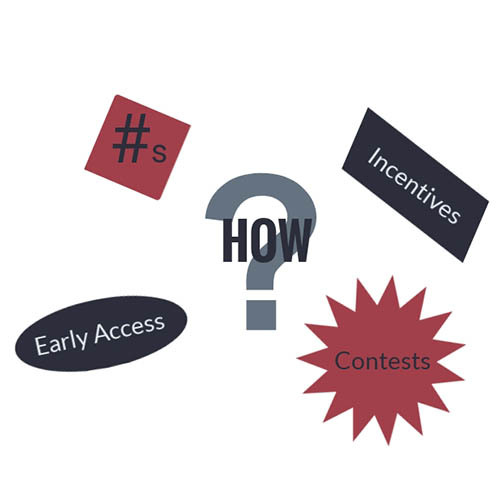 Consider picking one “winner” a week to keep your audience interested throughout a contest campaign. And, of course, hashtags can be integrated throughout all of these events. 75% of consumers stated they find UGC more authentic. 69% of consumers share information to feel more involved with the rest of the world. 84% of consumers share content to support the brands they care about. UGC has higher than average click-through-rates. Only 5% of brand generated content gets noticed by consumers. Websites with UGC saw a 90% increase in the time visitors spend on the site. User generated photos are 5x more likely to convert versus non-user generated photos. A mix of UGC and professional content increases brand engagement by 28%. 68% of millennials who use social media take shared information into account when making purchases. Over half of consumers report they post on social media about recent purchases. The right UGC can boost your online presence and help your business thrive. It is important to invest time and effort to create a marketing strategy specific to UGC as you would with any other campaign. These third-party endorsements will also help you build relationships with your customers and foster your brand-loyal online community. The experts at Strategy Driven Marketing have extensive experience creating and executing marketing plans for brands of all sizes and across many industries. Trust us to deep dive into your organization to understand your unique goals and challenges so we can tailor a marketing plan specifically for your business. Contact us today to get started!